SAN DIEGO–Cygnet Theatre’s 17th season takes audiences up close -close to the heart, close to the action, close to the edge. It’s also far reaching – traveling across oceans, across time, and across the tracks. Cygnet kicks the season off in a big way…with big hair, big bands, big egos in the hit musical comedy Rock of Ages. Enjoy some of the best rock hits from the 80’s with music from Styx, Journey, Bon Jovi, Whitesnake and more. Nominated for five Tony Awards including Best Musical, Rock of Ages will fire up theatre-goers whether or not they actually remember that decade! In the fall, audiences will be treated to the eagerly awaited companion piece to the runaway hit “The Last Wife.” “The Virgin Trial” is a racy political thriller and second in the “Queenmaker Trilogy” by Canadian actress and playwright Kate Hennig. San Diegans just can’t seem to get enough of the family favorite “A Christmas Carol,” which returns for the holidays. This heartwarming musical adaptation of Dickens’ classic tale rekindles the true spirit of Christmas. In 2020, the sharp-witted new drama “The Great Leap” which explores cultural and political risks of raising your voice and standing your ground. Playwright Lauren Yee is a UCSD MFA graduate whose work topped the 2017 Kilroys list, an annual list of under-produced plays by woman, trans, and non-binary writers. “The Great Leap” was #2 alongside “Yee’s Cambodian Rock Band,” which topped the list at #1. In the spring, get ready for flamboyant musical fun with the hilarious “La Cage Aux Folles,” featuring David McBean as Albin and Lance Arthur Smith as Georges. Among its numerous awards, the original Broadway production was nominated for nine Tony Awards and won six, including Best Musical, Best Score and Best Book. 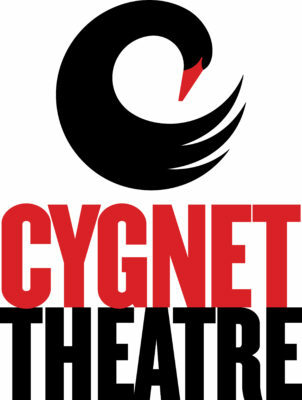 Cygnet’s 17th season ends with August Wilson’s powerfully resonant drama, “Two Trains Running,” bringing Cygnet’s total of six of the ten “Century Cycle” plays produced. “Two Trains Running” premiered on Broadway in 1992 and was a finalist for the Pulitzer Prize for Drama. It was also nominated for three Tony awards including Best Play. Current Cygnet subscribers will be notified by mail regarding subscription renewals. New subscription sales will be available beginning March 1. For more information regarding subscriptions packages, contact the box office at (619) 337-1525 or visit www.cygnettheatre.com.